Our outdoor paddling pool is suitable for children up to the age of 5 and is free for public use during the summer months! For safety reasons the pool is fenced off from other areas of the park and we ask that parents supervise their children at all times whilst in the paddling pool area. 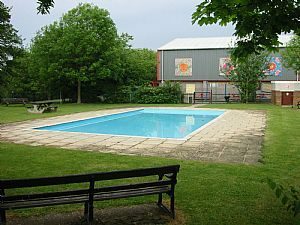 The Paddling Pool is now open and due to stay open until September. We advise calling on the day before arriving to check the days scheduled opening and closing times.